New Cottage Designs leads the way with handmade farmhouse simplicity. 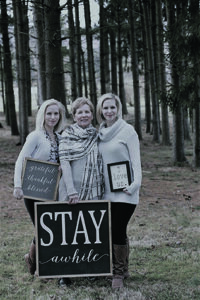 The ladies of New Cottage Designs warmly invite you to experience the comfort and simple beauty that is the farmhouse style. It is a way of life that reflects a love for the land and the bounty it possesses. Our items are handmade in Lancaster County, Pennsylvania by local craftsmen and women who put pride into each piece they create. 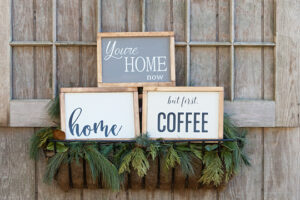 Handmade farmhouse decor by New Cottage Designs. Show specials at Market Square. Join us in celebrating our expanded selection of items in our new Spring Catalog by taking part in this Market Square exclusive show special and receive 5 percent off orders of $200, 10 percent off $300, and free shipping on orders of $750 or more! Framed wall decor, birdhouses, planters, chalkboards…and much more. Whether you’re looking for farmhouse simplicity to cottage chic, we have what you are looking for to turn a profit and drive customers to your store. Find success with framed wall decor, birdhouses, planters, chalkboards and shelves that offer a vast array of artwork to fit all of your customers needs. We offer affordable wholesale pricing as well as options for private labeling with certain minimums, shipped directly to your store. We ship across the entire USA. 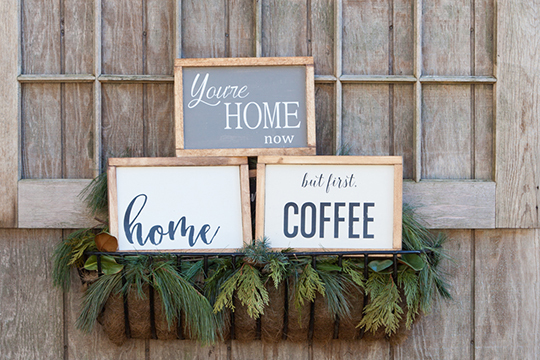 Handmade farmhouse signs by New Cottage Designs. New Cottage Designs…ready to order? Find New Cottage Designs at Market Square’s February wholesale show February 4-6, 2018 at the Greater Philadelphia Expo Center.